The cold weather here is inspiring for my crochet fingers because we can actually wear/use things like scarves, hats and cowls. I bought Jane a big, soft Cat & Jack fleece cowl (circle scarf) at Target for Christmas. She really likes it (and we've only lost it once so far -- thankfully the restaurant kept it for us until we realized it was missing and called to check if they had it! 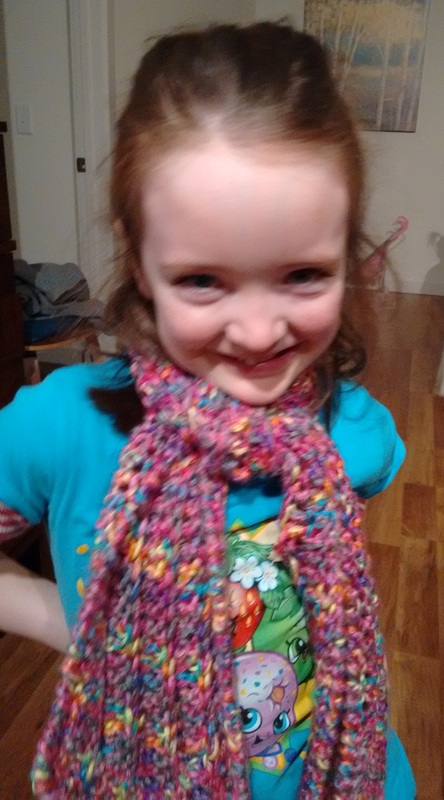 ), but she also wanted a "real" scarf that you can tie like "everyone else" at school has. I was happy to oblige. I ordered some Red Heart Gumdrop yarn on Amazon, just because I was itching to crochet and it was an "add on" item to go with some razors I restocked. 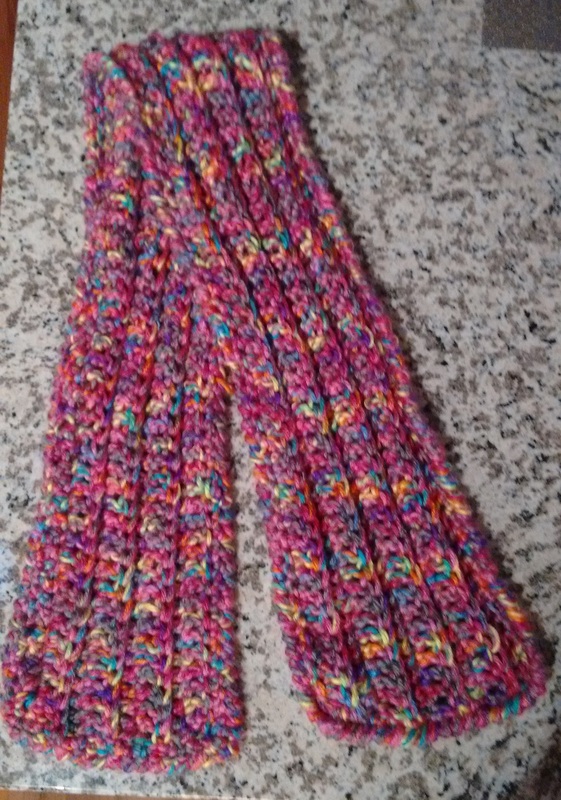 I didn't have this scarf in mind, but once I had the yarn I figured I would use one of the skeins to make something for Jane because it's a fun, multicolored yarn. The colors are Rock Candy and Cherry. I searched for different scarf patterns, mainly looking for something with warmth. You can never go wrong with Moogly, and her Big Rib Scarf's simple stitch pattern was no different. It's basically back-loop-only double crochet, and I just made the starting chain (actually foundation double crochet) shorter to suit Jane's height. As per the design I held two strands of the two colorways together with a large (J) hook for a thick, cushy and quick fabric. I did fewer repeats of the stitch to make a narrower scarf, just to keep the proportions right for Jane. I added crab stitch/reverse single crochet edging around to even things out and make it look a bit neater (that's a flaw of the crocheter, not the pattern designer I'm afraid). There was enough left on the skeins to make a quick, short cowl for Liv. She shouldn't really have anything tight around her neck, but I worry about the blowing wind and wanted SOMETHING for her. Plus she really wanted one! 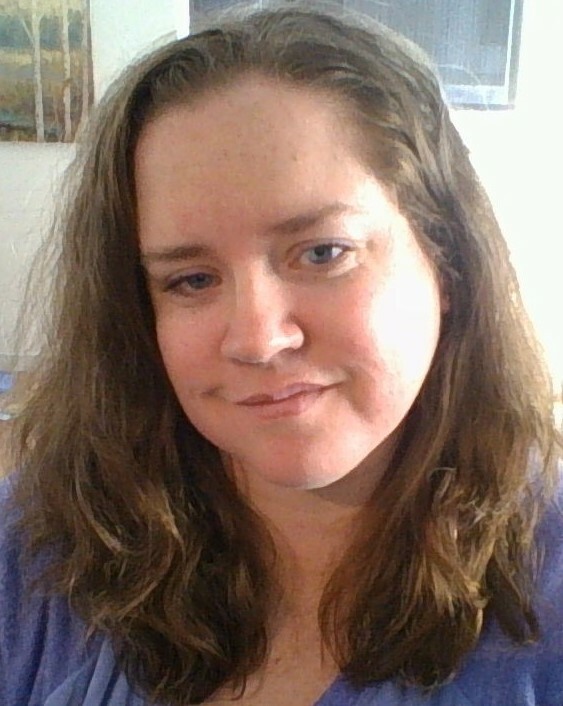 I don't have a picture of it yet, but it's just three rows of the BLO double crochet stitch, so narrower, and I sewed the ends together to make a cowl. I didn't have enough left to do the crab stitch edging, but that's OK for her. Our lives have been shifted dramatically in the new year. I began on January 1 with a day of physical labor -- cleaning and preparing our house for a house sitter as we have moved 1200 miles away for a sabbatical season. We will be gone for six months, and I was packing and sorting and putting away -- laundry, scrubbing, vacuuming, washing, panicking. I haven't worked so hard in a long time. When we got to the school, however, we were told she couldn't start today and would have to wait until tomorrow at the earliest. In the end this is a better thing for everyone. 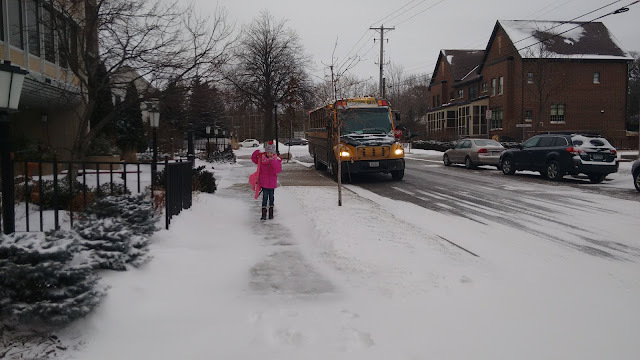 It will give the teacher some time to prepare (not much but some), and it was one more day of winter break for our girls. But we've known we'll be here, living in this apartment, for months. Why it couldn't have been done in advance I don't know. We had to go through a district placement office, and apparently that MUST be done in person, which Shawn was able to do Thursday, the day after we arrived. I did not react well in the school office when they rebuffed us. The guy looked at us like we were crazy (which I agree, it's a crazy proposition, but it's what the placement office had led us to believe would happen, so we had prepared Jane). She was SO mad. It was awful and uncomfortable, while we sat in the room and Shawn filled out even more (duplicative) paperwork. Jane felt inflexible, and I felt the same. After some time to process it, and an impromptu discussion with the principal who asked about Jane as a person and student to help her decide which of the two classes she might fit into best, I felt better and thought it would be fine to wait a day (or longer). Jane has already been in Kindergarten for 70+ days, and she'll have many more left because this school system started a month or more later than back home, meaning Jane will continue another month of school long after her Kindergarten friends back home will be on vacation (meaning her summer 2018 break is going to be a month shorter!). But I'm embarrassed by how frustrated I became and how that frustration and aggravation were visibly apparent to everyone. I hate how Jane reacted, and I didn't handle her disappointment well since I was poorly managing my own irritation and disappointment. I have to learn to be more flexible, but I'm not sure how. I am having plenty of opportunities to practice (and fail)!